Pennsylvania authorized the company to resume tests on Monday. 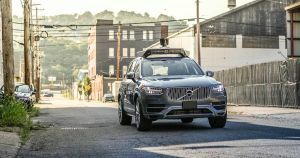 Uber is set to resume open-road tests for its self-driving vehicles in Pittsburgh on Thursday, according to The Associated Press. The tests mark the first time that Uber will test one of its autonomous vehicles since one struck and killed a pedestrian in Arizona in March 2018 — and the latest sign that the self-driving car industry could be outgrowing its safety-be-damned early days as its leading developers try to mature and reach the mainstream. After the deadly collision in March, it turned out that the software in Uber’s Volvo XC90 had decided to continue on its deadly path even after detecting the woman ahead. It also emerged that the car’s assigned human operator had been watching TV on their phone. More recently, a whistleblower leaked emails showing that Uber’s executives were aware of and ignored safety concerns prior to the crash. In spite of all that, Pennsylvania’s Transportation Department authorized the company to conduct more tests this week — though with significant restrictions. Uber also plans on resuming tests in Toronto and San Francisco. In this new round of road tests, Uber’s cars will also be limited to roadways with a speed limit of 25 MPH, and tests will only run on weekdays with clear weather. When the Uber car killed the pedestrian in March, it was traveling 38 MPH in a 35 zone during a nighttime drive. The vehicles will also activate Volvo’s emergency braking system and each will carry a second human operator, according to the AP. On one hand, these extra precautions are valuable reassurances that Uber wants to avoid another horrific crash. But the fact that these safety measures and restrictions are necessary to test autonomous vehicles is also a clear indicator that self-driving technology has a long way to go before it becomes truly viable.